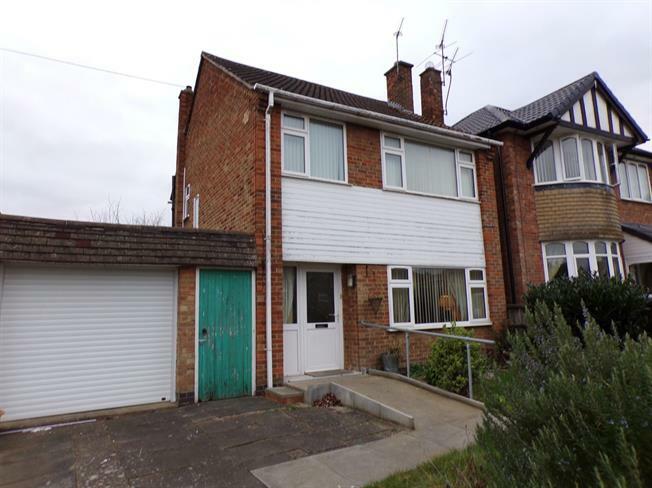 3 Bedroom Detached House For Sale in Leicester for Offers Over £280,000. A three bedroom detached property which has accommodation comprising hall, lounge, dining room and a modern fitted kitchen. On the first floor are three bedrooms and wet room. Outside the property benefits from a small garden to the front and an enclosed lawned garden to the rear. There is a driveway providing off road parking which leads to the garage. The house would make the perfect family home and is being sold with no upward chain. Early viewings are advised.